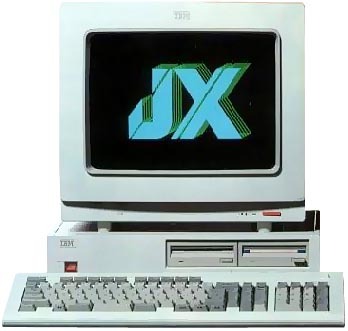 IBM JX was what the PCjr should have been. It was first released in Japan with dual English/Kanji features, but has not been a big succes in that market dominated by Japanese companies. The Kanji features were then removed and the system was introduced in Australia. It was first submitted to the Victorian Education Department then released for general dealer sales in September 1985. - and the keyboard was a true one (contrary to the early PC Jr which has a poor one). It used version 2.1 of MS-DOS and functioned exactly the same as an original PC model. However the inside of the computer was vastly different from an IBM PC. The expansion slots were limited and not compatible with IBM-PC slots. Several options were available: Extended 98-key keyboard, joysticks, cassette recorder, light pen, asynchronous communications and additional expansion slots. see more IBM PC JX Ebay auctions !